Personally, I am a very Social Media-ed person, I have profile in most of the popular social media platforms, like Facebook, Twitter, Google+, LinkedIn, Pinterest and more recently mig.me (last one is a pretty new local social networking site). Of course, I cannot be active in all the above and hence only select a couple of them to focus on my sharing and browsing (main one being Facebook). Ever since I gained my momentum in stock investment from the beginning of the year, I've learnt quite a fair bit of my investment knowledge (the fundamentals, the do and don't etc.) from social media, especially local personal finance blogs. Hence, I always think that social media do play an important role for retail investors in keeping abreast of our investment acumen as well as boosting the chance of success. Yesterday, while roaming at the Popular bookstore, chanced upon a new book called "Social Media Strategies For Investing" (by Brian D. Egger) which I thought is quite fitting with the idea of what I am thinking about. I browsed through the chapters and noted that the focus in mainly on the impact through Twitter platform as well as some established non-local personal finance blogs etc. The idea is there but it might not be very relevant to our local context. 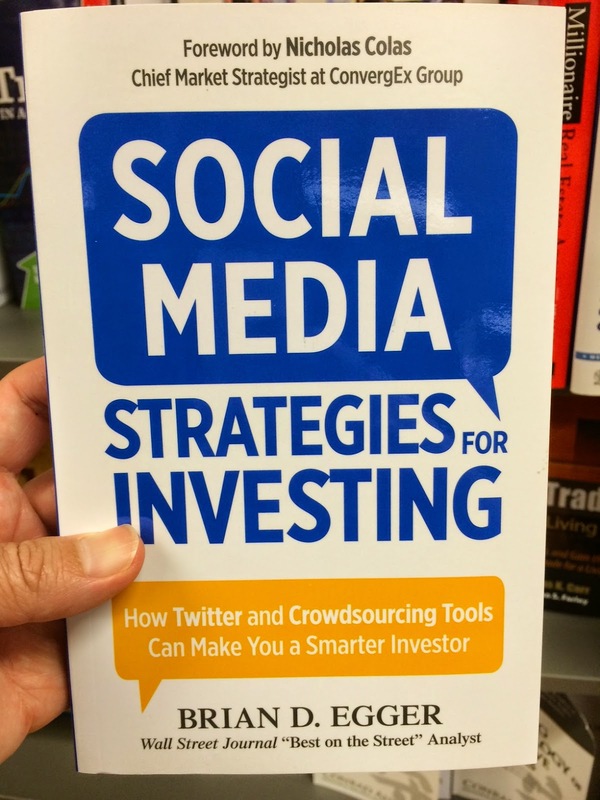 Have you folks chanced upon any similar local book touching on Social Media vs Investing? Hi Richard, social media can be a double-edged sword. For rumour followers, social media just accentuates the noise out there, potentially causing the less-informed to follow in lemming-like queues towards buying hot stocks. That's the downside. For small investors like ourselves who more often than not invest in under-the-radar stocks not covered by analysts, we often can find more information about a certain company and its business on the web. Sometimes uncovered by like-minded investors via their blogs, sometimes through discussions on forums - valuebuddies being one of them. Can also use social media to do a sense check of our own stock selection. Agreed on social media can be a double-edged sword. Agree that we should not trust everything published in social media. There are a lot of half truths out there and to be a responsible investor means to do our own diligence and not be swayed by rumors in the cyber world. One real open Secret in investing, it is about you and your money; but there will be many helping hand by many kind Wolverine Goats in sharing this open secret in investing with you. Of course, small tuition fees. Cheap! CW8888 : hahahaha, I know what you meant...have a great Sunday, by the way.